There is something about Paro that makes me calm. Maybe it is the size, it didn’t feel big. Maybe it is the number of houses which didn’t seem excessive. Maybe it is the mountains, maybe the small and charming market. But as soon as we started getting out of the airport I said to no one in particular, “now this is exactly what a doctor would order for the frayed city nerves.” After spending 3 nights at Paro, I have still not revised my opinion. 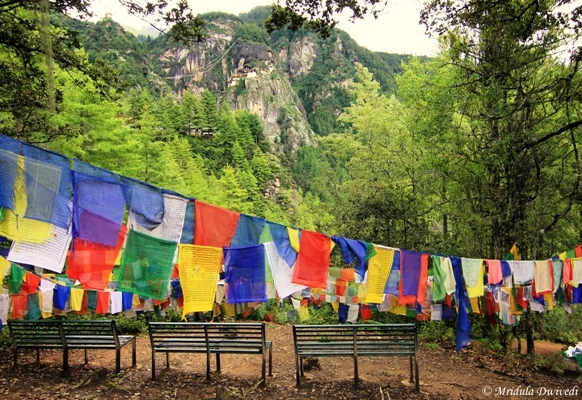 It feels as if no one can strike a discordant note in Paro, Bhutan. We stayed at the Naksel Resort which is away from the city. 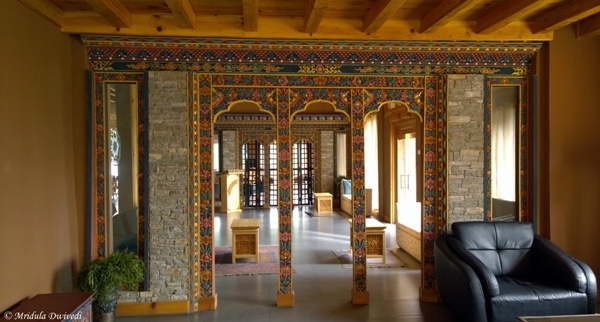 But then in Paro, even the city does not feel like city. My room at Naksel was huge and it had a balcony. The nights were so silent that I would leave a small light on in my room, even though I don’t get easily scared! The only hitch in the paradise? The rooms were at a sharp incline and it was a task to walk back after dinner! But it was good in a way, that way we could digest some of the awesome dinner we would gobble everyday! 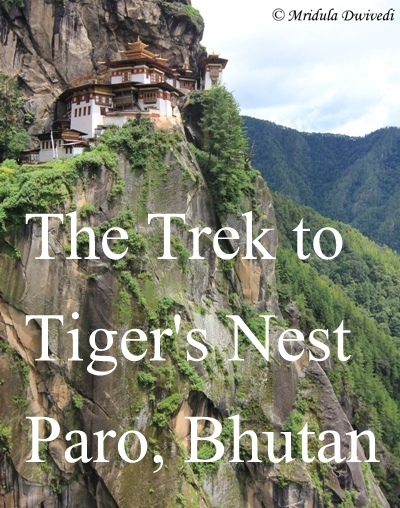 The highlight of my trip was the climb to the Tiger’s Nest in Paro. If you are even mildly fit you have to attempt it. The walk is steeply uphill but the location of the monastery is amazing. 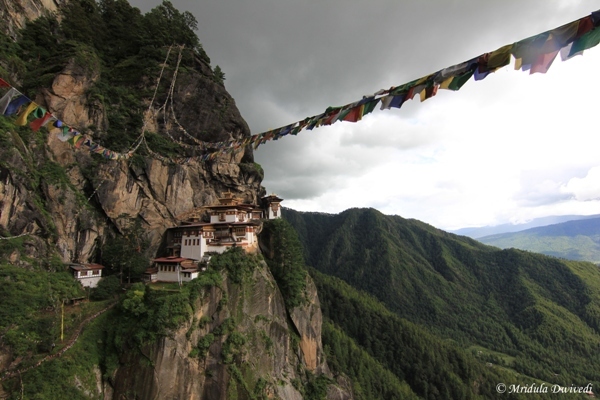 It is perched on the top of a cliff almost floating up there in the clouds! I will surely like to walk this path again with my daughter one day. 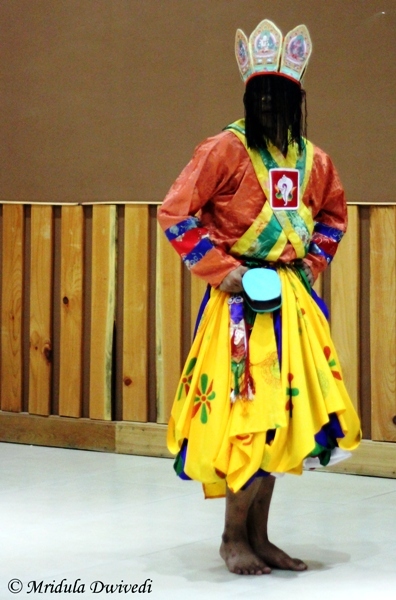 The Naksel Resort organized an evening of traditional dances from Bhutan. But let me digress for a moment. At college, a colleague asked me to join the ‘Cultural Club’ as a mentor to which I asked her, “Ma’am do I look cultured to you in any way?” That is the truth about me. I miss out on all the finer aspects of dances and such. And yet it is always a pleasure to watch the traditional dances of a country even if I can understand and appreciate so little. They called it a market! For me it was a small place to wander! There is more to the market than I could capture in one frame but it was a small, cozy place. 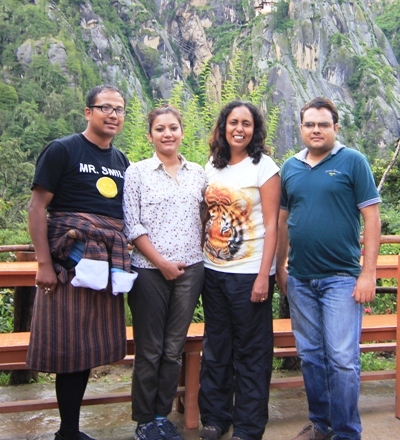 But shopping in Bhutan is expensive. As it has a restriction of USD 250 per person per night on tourists from many countries (but not India), the shopping reflects this. 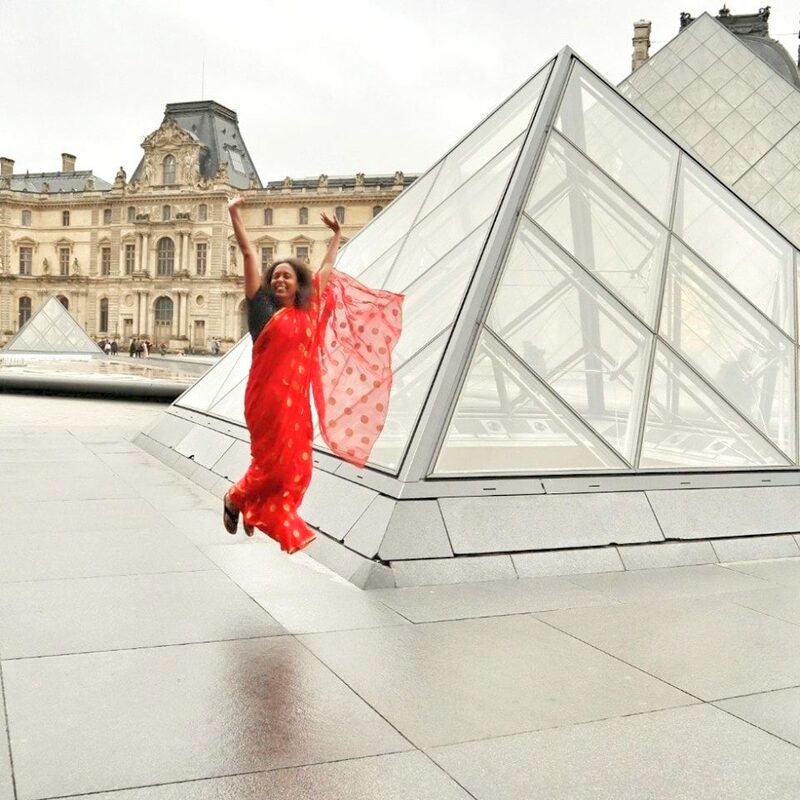 But then who wants to shop when one can roam around and click beautiful pictures! The shops had ornately beautiful windows too! 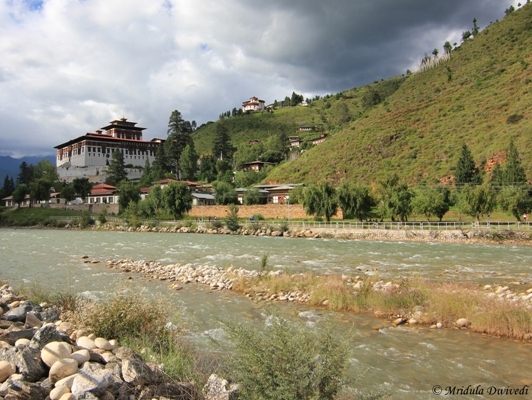 As we were staying away from the city, I could never walk next to the Paro River. It is on my agenda. 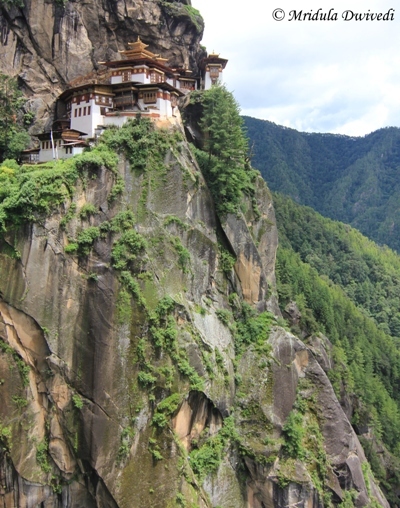 I also could see the Rinpung Monastery from a distance. 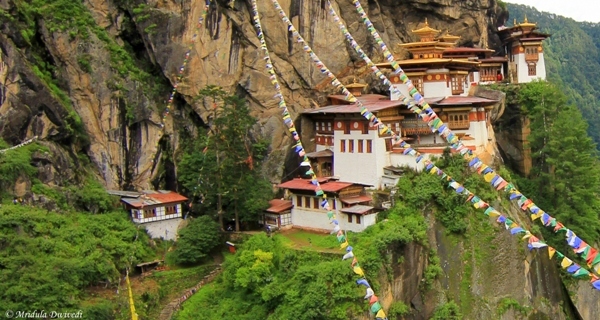 But then I have to simply find a way to go back to Bhutan! I am completely smitten by it. I am sure if tranquility had an address it would be Paro! PS. 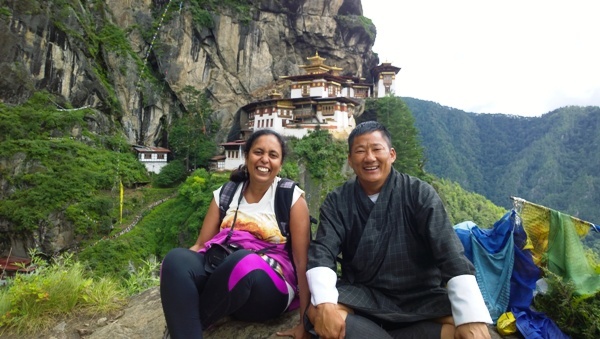 I was invited by Makemytrip to visit Bhutan and I so thankful that I could easily take leaves and go!